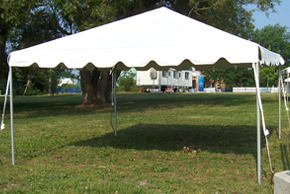 Sizes from 15′ x 15′, x 20′, x 30′, x 45′, and longer. Ideal for small narrow backyards or patios. 15 ft. clear span is good for stage cover. 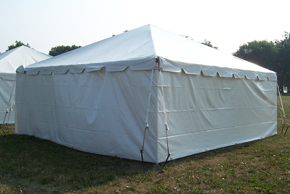 Only available in a Traditional Style Frame tent. Ideal for street festivals, as laneways require fire lanes.